A few months ago, I first mentioned that I would be drawing new paper dolls based on some of my old paper dolls. 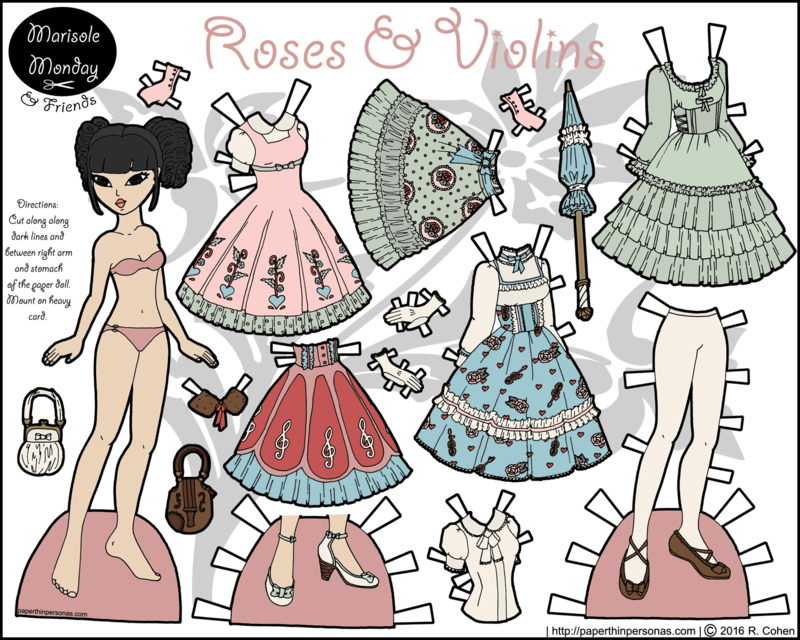 There are literally hundreds paper dolls on this blog since it is nearly nine years old (scary no?) 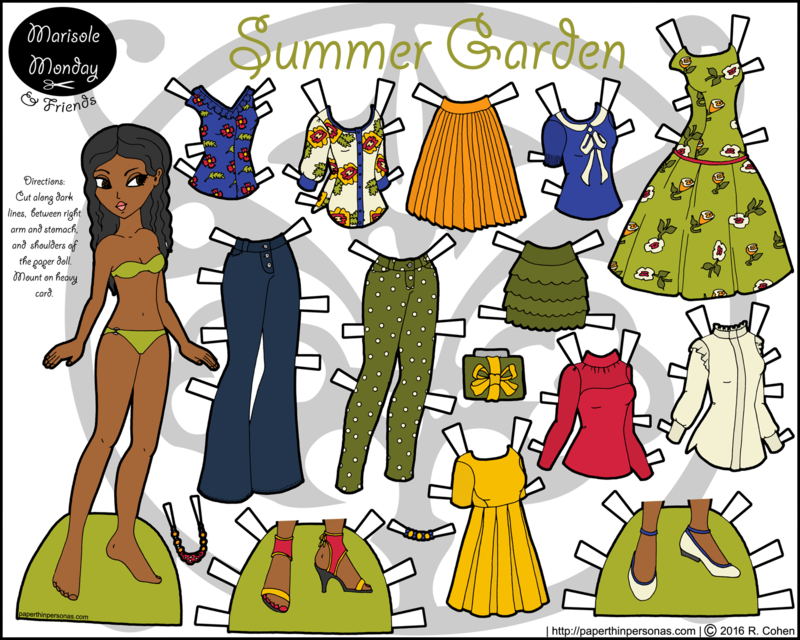 and given that, I have enjoyed creating new paper dolls from old paper dolls. It’s like recycling, but with paper dolls and not glass bottles. So, Dionisa became this B&B set and On Future Streets became this Ms. Mannequin outfit. Today, Akemi, one of my favorite fantasy warrior paper dolls, inspired today’s Maeghan paper doll, a warrior queen. I decided to make her a paper doll queen and not a paper dolls princess, because queens have more power. I gave her red hair and tan skin, because I am on a constant mission to figure out how to make that combination work. I think it looks okay this time, but I’m still not totally pleased with the outcome. 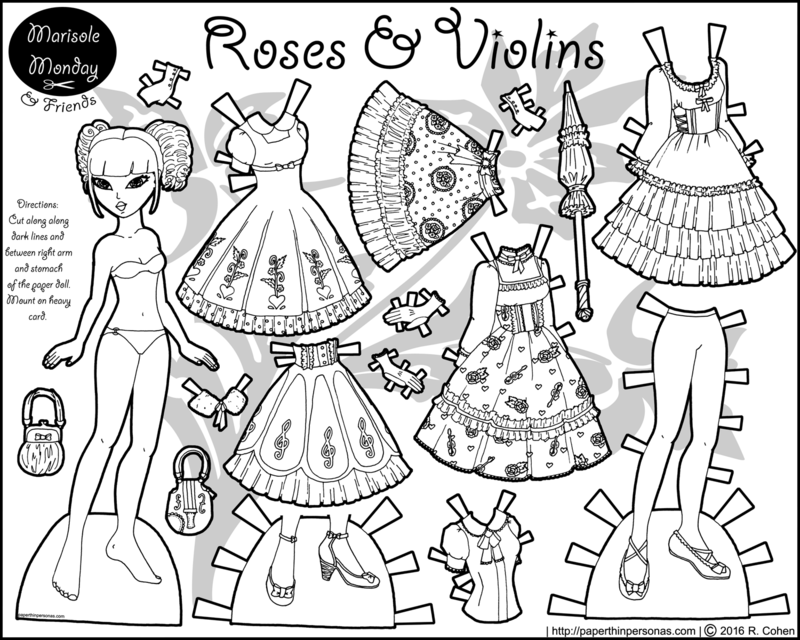 And tomorrow, there will be a Mikhail paper doll inspired by the same Akemi paper doll. 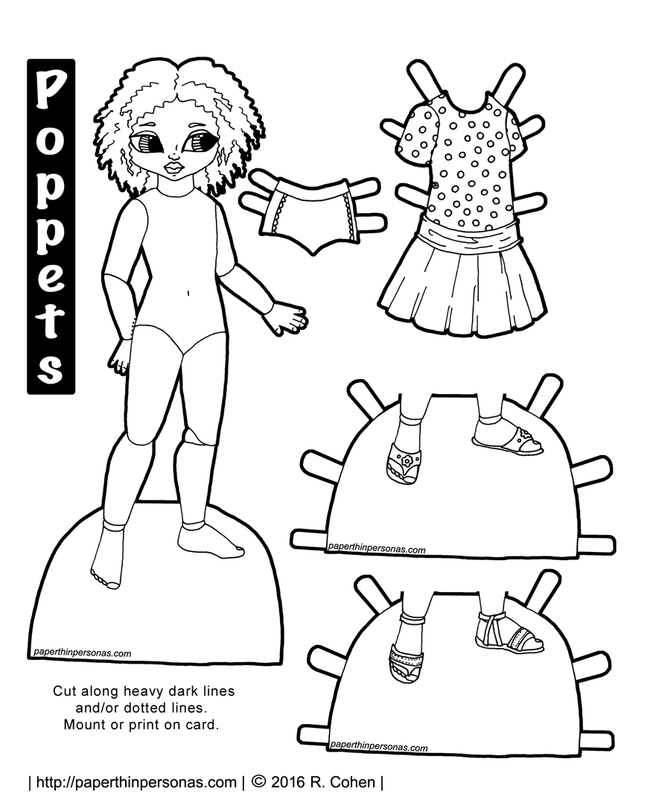 I know some of my readers will be excited to get a new boy printable paper doll. One of my Patron requests for 2017 was more fantasy creatures like mermaids and fairies. So, today’s fairy Poppet paper doll in my response to that request from Cathy W and I thought someone else, but I couldn’t verify that. So, other person who I couldn’t verify, if you exist outside my head, this is also for you. 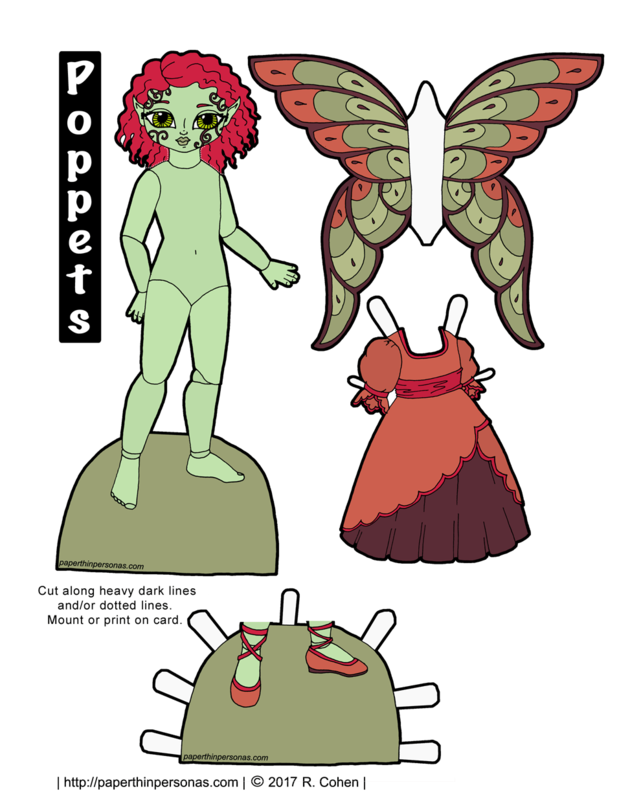 Who doesn’t want an excuse to draw a printable fairy paper doll? Also, just because I have done something once, doesn’t mean I can’t do it again. There’s not like statute of limitations on paper doll production, you know? The wings are meant to be glued to the back of the paper doll along the white section. Last time I posted a fairy with wings, there was some confusion about this. Mostly, I am using Facebook to share stuff from the Archives, because I expect no one to really go through nearly 1,000 posts. Not quote 1,000. I should do something cool when I hit 1,000. Some series easily adapted to this new format and the Ms. Mannequin’s were one such paper doll series. Today, I’d like to introduce Zola, the first Ms. Mannequin to be done in the new series format. There won’t be an accessory Thursday this week. Instead, I decided to put Zola’s shoes with the dolls, because her skin is visible on those pieces. Zola has the same skin-tone as my paper doll Tanya who was the first of the Ms. Mannequin paper dolls. They can, therefore, easily share shoes. I also wanted to keep the sets close to the format of the original Ms. Mannequin series as I could. This week I’m going to be exploring Hip-Hop fashion. Many famous hip-hop artists (Jay Z, Pharell, Diddy, Rihanna, Beyonce, Kanye) have created fashion lines. So, I didn’t want to keep ignoring this trend in fashion, but unlike a lot of fashion styles, this one seems focused more on men’s clothing than women’s clothing. This brings us to today’s paper doll- Zola. Zola has two pairs of tennis shoes. As far as I can tell, expensive tennis shoes are a very important part of the Hip-Hop fashion genre. While many of these shoes come in all sorts of colors, I chose white and black for the mix and match options those two colors offer. Everything goes with white or black, after all. New content announcements, plus other interesting stuff, goes up pretty regularly on the blogs Twitter feed. It’s also one of the best ways to ask me questions. Also, if you love the blog, then consider becoming a patron. Thoughts on this week’s theme? It’s a departure for me, since I don’t know much about this style and I hope I can do it justice.